For people with thinning or weak hair strands, products with biotin are essential. Biotin supports hair growth and promotes strength of the hair follicles and nails, too. This B-complex vitamin is commonly found in cucumber, eggs, and cauliflower. If you have thin hair, then you should scour the shelves for the best biotin shampoo. But out of all those brands, which one should you pick? This article will help you decide. Organix Thick and Full Biotin and Collagen Shampoo & Conditioner Set blends together biotin and collagen to take care of the hair. The hair becomes full of life and volume. The hydrolized wheat protein also gives the hair strength and thickness, but can make the hair a bit dry and frizzy. The vanilla scent is strong and may make you uncomfortable. Vitamins Hair Loss Shampoo and Conditioner﻿﻿ set combines argan oil and biotin to make the hair thicker, fuller, and shinier after every wash. It works in five ways: prevents fungi from forming in the scalp, blocks DHT, removes the buildup of sebum, improves the circulation of oxygen and nutrients from roots to tips, reduces shedding, and locks in nutrients in the hair. However, using the shampoo and conditioner daily may cause dryness and oiliness because of the essential oils present in the product. Art Naturals Organic Argan Oil Hair Loss Shampoo, on the other hand, offsets the effects of chemical ingredients by infusing the shampoo with botanical ingredients and herbal essences. This is by far the shampoo with lots of natural extracts. It also effectively stops receding hair and covers up bald spots. It makes the hair fuller and more alive. This product combines Provitamin B7 and collagen to infuse nutrients into each hair strand, making the hair thicker, stronger, and looking healthier. This is highly recommended for those who have fine or thinning hair. While biotin adds volume to the hair, collagen moisturizes and nourishes the strands so they look lustrous after washing. The shampoo and conditioner also contain cocoa butter to soften the hair, aloe vera extract for added moisture, and coconut oil to nourish the hair strands. The products are also safe for colored and treated hair, and are not tested on animals. If you have bald spots, you can use Organix in conjunction with biotin supplements to speed up the treatment. However, the biotin shampoo has a strong sweet smell which might put you off if you don’t like smelling like candy. Using the shampoo and conditioner every day may also leave your hair a little brittle, frizzy, and dry, so it’s best to mix the shampoo with a bit of water before lathering your hair. Vitamins Hair Loss Shampoo and Conditioner have argan oil and biotin that not only thicken the hair strands, but give them the shine and moisture they need. The ingredients have been clinically formulated and proven to promote hair growth and restores bald spots. The natural and patented ingredients have been scientifically tested to cure alopecia and give life to one’s scalp and hair roots. The shampoo and conditioner also volumized and conditioned the hair. The results are quick because of the added botanical ingredients. This product promotes hair growth in five different ways: it removes oil buildup that weighs the hair down, improves the circulation of nutrients and nutrients in the scalp and roots, prevents fungi, prevents roots from shrinking, and keeps nutrients in the hair longer. The hair then becomes more lustrous and fuller. 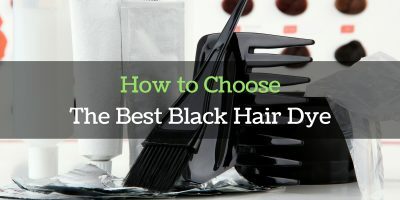 Results depend on the texture of your hair. 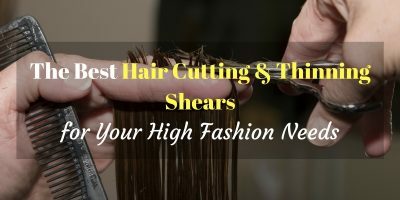 Those with fine hair have to wait a while to see the strands thicken. This 16-ounce biotin shampoo combines the powers of argan oil and biotin for the regrowth of hair. It contains other natural ingredients such as white willow bark, rosemary, aloe vera, thyme, and burdock root to stimulate the growth of hair follicles. The shampoo has DHT blockers to prevent hair loss, as well as protect the hair from damage. The hair becomes fuller and shinier afterwards. Art Naturals has an impressive list of natural ingredients to keep the scalp and roots healthy: ivy, nettle, birch extract, black currant extract, walnut oil, sage, caffeine, and silk amino acids. The shampoo is great for men and women, and is effective in treating baldness. Art Naturals has chosen some of the best ingredients to keep the hair longer and thicker. Caffeine, for instance, speeds up regrowth, while argan oil, a rich and essential ingredient in most cosmetics, nourishes the hair with fatty acids. The product does not dramatically stop hair thinning and hair fall, but it does reduce hair loss up to 90%, if used regularly. The drawback: too much use may make your hair stiff and frizzy. The natural oils can also make the hair a bit oily and heavy. It is better to look for ingredients that naturally contain biotin in shampoos than choose those with harsh chemicals. The latter will only make your tresses drier and more brittle. Does biotin shampoo make your hair grow faster? Biotin shampoos don’t speed up the growth of hair per se, but it does strengthen the hair follicles that contribute to faster hair regrowth. Biotin is also responsible for lessening the breakage of each strand. What are the effects of argan oil to thinning hair? Two of the featured hair products here are infused with argan oil, which is touted as “liquid gold”. This oil is originally found in Morocco, and has been used for centuries to treat skin dryness. Argan oil can act as skin moisturizer and hair conditioner. It makes the hair sleek and shiny, and protects the hair follicles. It is a common ingredient now in shampoos for thinning and weak hair strands. What can caffeine do to thinning hair? Caffeine, which is present in Art Naturals Argan Oil Hair Loss Shampoo, also promotes hair growth up to 25%, according to a study conducted by the University of Germany. It activates the growth factor in hair, thus preventing the death of hair cells. For caffeine to do this job, this has to be infused and applied to the hair shafts – drinking coffee every day is not enough. After a careful analysis of results, we have decided to give this round to Art Naturals Argan Oil Hair Loss Shampoo! Aside from the botanical ingredients found in the product, it nourishes the hair with other vitamins. Thank you for your great article packing full of useful information about Biotin. I always believe that Biotin is the great natural ingredient to treat hair loss or grow hair. I am wondering one thing that should we use Biotin Shampoo together with Biotin Supplement to get a better result? Since using too much Biotin might have some negative side effects. Anyway, thank you for so much for the amazing article.